On the prowl for a new, strong slasher? Breaking Glass Pictures is gearing up to send Lake Alice home, and it might be just what you’ve been hoping for. Lake Alice stars Brando Eaton (Dexter), Eileen Dietz (The Exorcist), Peter O’Brien (X-Men Origins: Wolverine, The Return), Caroline Tudor (Mortal Combat: Legacy), Brad Schmidt (House of Lies), Laura Niemi (Jobs), and Michael Shamus Wiles (Breaking Bad). The film is written by Stevie Jane Miller and directed by Ben Milliken. Look for Lake Alice on July 18th. Here’s a peek at the new poster – you’ll find the trailer below. LAKE ALICE follows Ryan Emerson (Schmidt) who, while meeting his girlfriend Sarah’s (Tudor) family for the first time, must prove his intentions and win the approval of her father, Greg (O’Brien), while he masks his jealousy for Sarah’s ex-fling, Tyler (Eaton). As the Thomas family settles in, things start to happen around the cabin; strange footprints by the windows, noises from outside, and a bitter animosity from the locals, including the law enforcement. 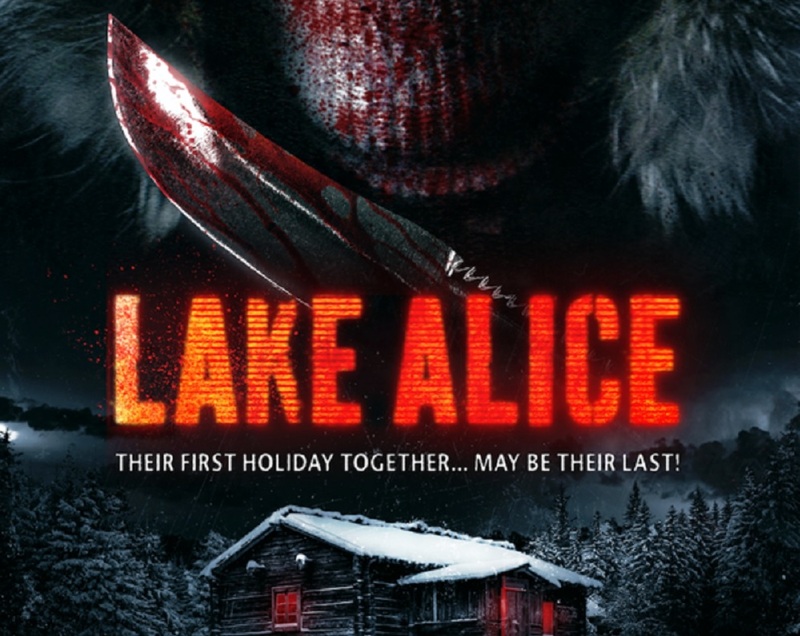 As a blizzard descends on Lake Alice, so does the evil from behind the camera, as the Thomas family is hunted down one by one. The family struggles to stay alive as their power in numbers slowly dwindles.